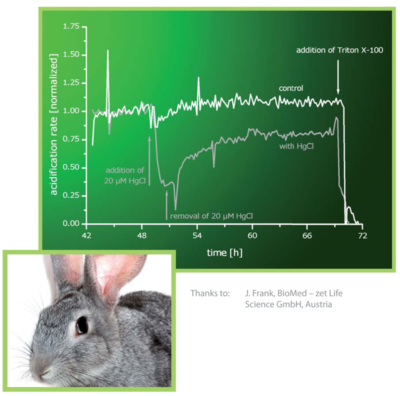 IMOLA-IVD is an enabling technology toward the reduction of animal experiments in the field of toxicology. Monitoring of the vitality of cultured living cells is the key toward the reduction of animal experiments in the field of toxicology. The example shows the toxic effect of mercury toward 3T3 fibroblasts and also the recovery of the cells after the toxin is removed.